You may be asking yourself how can a window or double glazing save energy and what makes a window energy efficient? There is a low E (short for emittance) glass that contains an invisible metal coating that sandwiches between the layers of glazing, that causes the glass to be reflective. They keep the house warmer in the winter and cooler in the summer. There are new components in insulating the glass that can create a more energy efficient glass, these are glass coatings, a new gas filler, warm edge spacers & frame materials. Energy efficient double glazing makes sense, sitting next to a window and feeling a draft of cold air come in immediately tells you to turn on the heat to compensate for the drafty window. Now you are using more heat and energy than necessary because of a window that is not designed to totally keep the warm air in. Replacement Double Glazing by Tru-plas in Pembrokeshire can really enhance your homes appearance and energy efficiency. Tru-plas offers double glazing installations in and around Pembrokeshire, Pembroke, Carmarthenshire, and South Wales. Please see the benefits of these units below and how your home will be improved. These days with a lot of talk about energy efficiency and green power, we all have to do what we can to conserve energy because in the long run will help the planet not to mention your wallet. You see the bill every month, especially in the winter, why throw away money when you can look into the energy efficient windows. Tru-Plas is leading the way with our energy efficient installations and is now accredited to label our own windows with an energy rating. Only a small handful of companies have this ability and we at Tru-Plas are extremely proud we are leading the way in Pembrokeshire and Carmarthenshire by making your home more energy efficient. This has been awarded by the BFRC and is available to view below.There is a low E (short for emittance) glass that contains an invisible metal coating that sandwiches between the layers of glazing, that causes the glass to be reflective. They keep the house warmer in the winter and cooler in the summer. There are new components in insulating the glass that can create a more energy efficient glass, these are glass coatings, a new gas filler, warm edge spacers & frame materials. Tru-Plas is leading the way with our energy efficient installations and is now accredited to label our own windows with an energy rating. 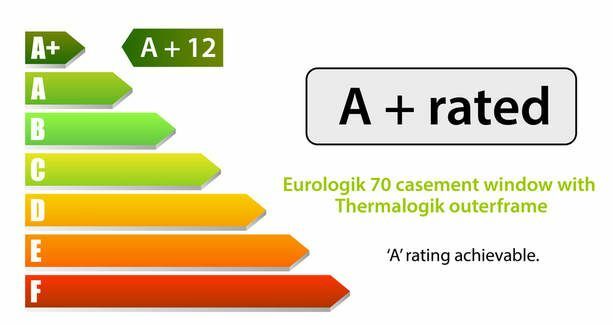 Only a small handful of companies have this ability and we at Tru-Plas are extremely proud we are leading the way in Pembrokeshire and Carmarthenshire by making your home more energy efficient. This has been awarded by the BFRC and is available to view below.There is a low E (short for emittance) glass that contains an invisible metal coating that sandwiches between the layers of glazing, that causes the glass to be reflective. They keep the house warmer in the winter and cooler in the summer. There are new components in insulating the glass that can create a more energy efficient glass, these are glass coatings, a new gas filler, warm edge spacers & frame materials. Energy efficient double glazing makes sense, sitting next to a window and feeling a draft of cold air come in immediately tells you to turn on the heat to compensate for the drafty window. Now you are using more heat and energy than necessary because of a window that is not designed to totally keep the warm air in. These days with a lot of talk about energy efficiency and green power, we all have to do what we can to conserve energy because in the long run will help the planet not to mention your wallet. You see the bill every month, especially in the winter, why throw away money when you can look into the energy efficient windows. PVC-U building components are widely recognised as a truly sustainable option, thanks to advances in recycling. When old PVC-U windows are removed from buildings they can now be recycled and fabricated into new finished products – up to ten times – with no detriment to the physical properties of the PVC-U. 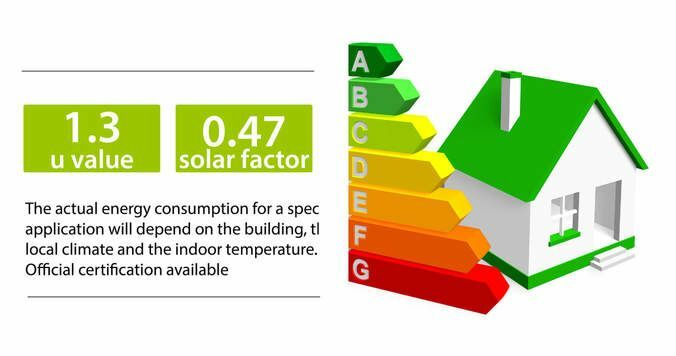 Combine this with the average 35-year lifespan of a PVC-U window (source: BRE), and PVC-U offers hundreds of years of re-use with minimal impact on the environment. In fact, PVC-U windows have now achieved the highest rating possible in the Building Research Establishment (BRE) Green Guide to Specification (June 2008), receiving an ‘A’ rating for residential buildings and an ‘A+’ rating for commercial projects.